Our beloved Portuguese atelier director, María Gonzaga has been awarded at the Sophia 2019 Awards for her excellent work at ‘Parque Mayer‘. 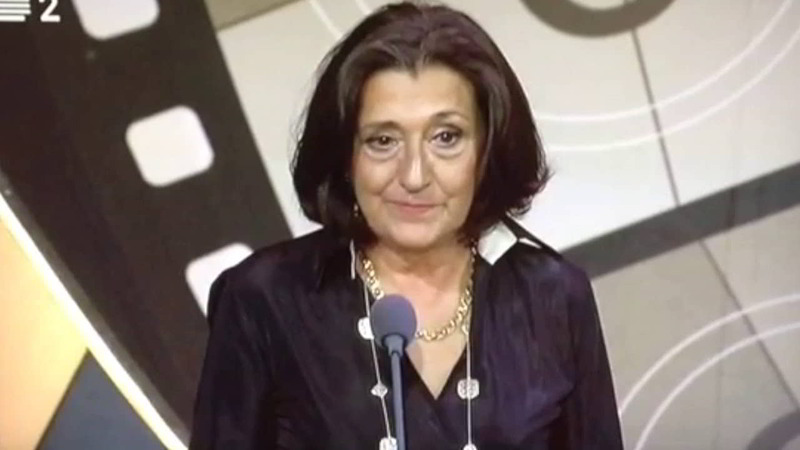 The Sophia Awards are the prizes awarded annually by the Portuguese Academy of Arts and Cinematographic Sciences. María Gonzaga has won the prize in the category of ‘Melhor Guarda Roupa‘ for her work in ‘Parque Mayer‘. It is a pride for Peris Costumes to have the costume designer. We greatly appreciate your words when receiving the bust of Sophia de Mello Breyner Andresen. Congratulations María!